Everyday low trade prices and free shipping. 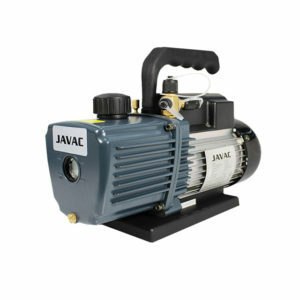 JAVAC’s Auto Air Starter Pack is an entry level spark proof automotive charging station that packages high quality refrigeration equipment with a custom trolley. Please note: The gas bottle is not included. All equipment is supplied with a full 12 month warranty. 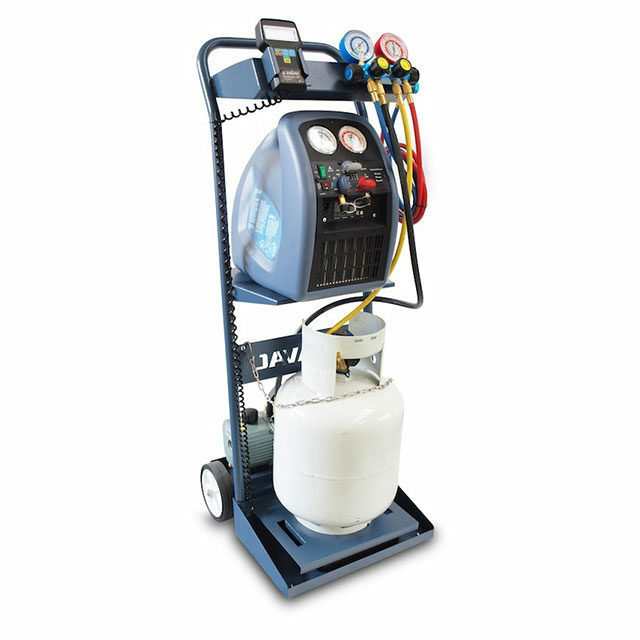 With a full collection of JAVAC refrigeration tools and an ergonomic trolley, the AutoAir Pack A2L is a complete, self contained recovery and evacuation charging station. With an EVO recovery machine and a JAVAC vacuum pump you can recover and evacuate a vehicle’s air conditioning system, using the accurate digital scale and manifold to precisely recharge the system. The custom trolley allows these components to be operated together seamlessly and carried around with ease. The included EVO-OS Recovery Machine is an ergonomically designed lightweight unit. It features a cool-to-touch case and porting that points down; not in your face. It also features a fully integrated automatic liquid/vapour oil separator that strips incoming oil from the recovered refrigerant. This is particularly important for automotive applications where recovered oil must be accurately measured and the system replenished with fresh oil prior to recharge. The Auto Air Starter Pack is an excellent entry level spark proof automotive charging station that packages some of the industry’s best refrigeration tools in a convenient package.